Nestlé has announced it will change the way it sources Fairtrade ingredients for its KitKat 2 and 4 finger chocolate. 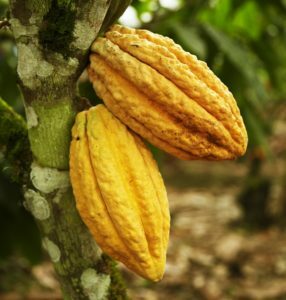 From 5 June, the company will switch from sourcing All That Can Be Fairtrade to sourcing cocoa, sugar and vanilla through the Fairtrade Cocoa, Sugar and Vanilla Programs. As a result, affected KitKat products will begin to carry the FAIRTRADE Program Mark on the back of pack instead of the FAIRTRADE Mark. This is part of Nestlé’s global strategy to give more prominence on all confectionery packaging to Nestlé’s flagship Cocoa Plan and the change brings KitKat in line with the rest of their chocolate confectionery range; whilst still maintaining their Fairtrade commitment. Nestlé will continue to buy all the cocoa, sugar and vanilla needed for its KitKat 2 and 4 finger chocolate on Fairtrade terms, and farmers will still follow the Fairtrade Standards and receive the same benefits. As well as the Fairtrade price (or market price if higher) for the commodity, farmer groups receive the Fairtrade premium to invest in long-term community and business projects of their own choice, such as education and healthcare. The Fairtrade Sourcing Program was designed by Fairtrade to offer businesses another way to purchase Fairtrade cocoa, sugar and vanilla, and in doing so, increasing the opportunities for producers to sell on Fairtrade terms. Many European markets have adopted the Fairtrade Cocoa Program, and this has increased global sales of Fairtrade cocoa from 51,000 metric tonnes in 2012 to just over 100,000 tonnes in 2016. Confectionery brands such as Ferrero and Mars have already committed to the Fairtrade Cocoa Program. Nestlé’s collaboration with Fairtrade began in 2009, when the UK’s best-selling chocolate wafers, KitKat 4 finger, first received ethical certification through the FAIRTRADE Mark in the UK and Ireland. This move was then extended to the 2 finger. KitKat, made in York, is the UK’s favourite chocolate wafer fingers, with 1bn sold here each year. Launched in 1935 and originally called Chocolate Crisp, it has grown to become Nestlé’s biggest confectionery brand in the UK. The UK is the biggest market for KitKat globally, twice as big as the next highest, Japan.